BleachHouseLibrary.ie: Book Review - The Possessions by Sara Flannery Murphy. 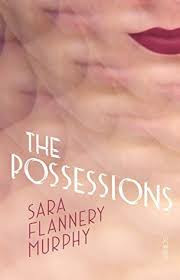 Book Review - The Possessions by Sara Flannery Murphy. The Possessions was a real surprise. I was expecting a competent psychological thriller but Sara Flannery Murphy has delivered so much more. The first sentence plunges us into mystery and rapid character building; Patrick and Sylvia Braddock are to become central figures but whose voice are we listening to? The description is sensuous and poetic and we are quite unprepared for the introduction of a world with the assured normalisation we associate with Margaret Attwood’s prose. Nothing here is ‘our’ normal. The Elysian Society offers a service whereby the living may be reunited with lost loved ones by means of a ‘host’, a medium through which they might speak, a body which is literally possessed by the dead for the benefit of others. We are told that the society is strictly regulated, unlike the back street services which alerts us early on to the potential abuses and dangers of the system. Whilst this world builds we come to know the protagonist and appreciate that there is much hidden in her background. Why would she take up this profession? What needs does she fulfil by negating her very existence ? The relationship with Patrick, her client, begins to demonstrate the frailty of her sense of self until at one point it is difficult for either she or the reader to be sure who she really is? The power of the novel’s title becomes ever clearer. Even more alarming is a growing sense of how the margins between past and present become obscured. Danger looms as the tension builds relentlessly. Self is dissolving into Time, driven by her overwhelming passion and her desire to be engulfed in Patrick’s world. But perhaps he has secrets too ? And is the Society itself all it claims to be? This is a totally absorbing experience exploring self, womanhood, loneliness and the nature of obsession. The expertly crafted movement between first and third person offers some respite from the intimate intensity of escalating events and the use of classical names adds a layer of further depth, as does the key location, Lake Madeleine, with its allusion to time past associated with Proust’s famous madeleine – the catalyst which was the trigger to memories of the past. This is a layered novel of absolutely page turning readability. It does lose a little pace at one point when there is a great deal to be revealed at one go but it soon re-establishes the mood and tone to power towards its conclusion. 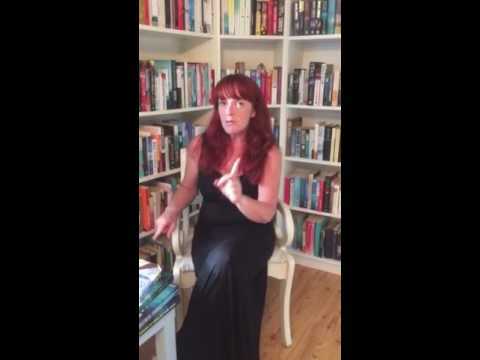 This is a remarkable achievement in a debut novelist and there is still so much more I could say ! Sara Flannery Murphy is certainly a name to watch out for. Do read it and find out for yourself.